Silicon Valley is onto something big. The cloud, mobile, connected devices and artificial intelligence are finally providing real benefits, from disease prevention to classroom safety. Negative consequences, though, are dangers techies mostly prefer someone else to tackle. 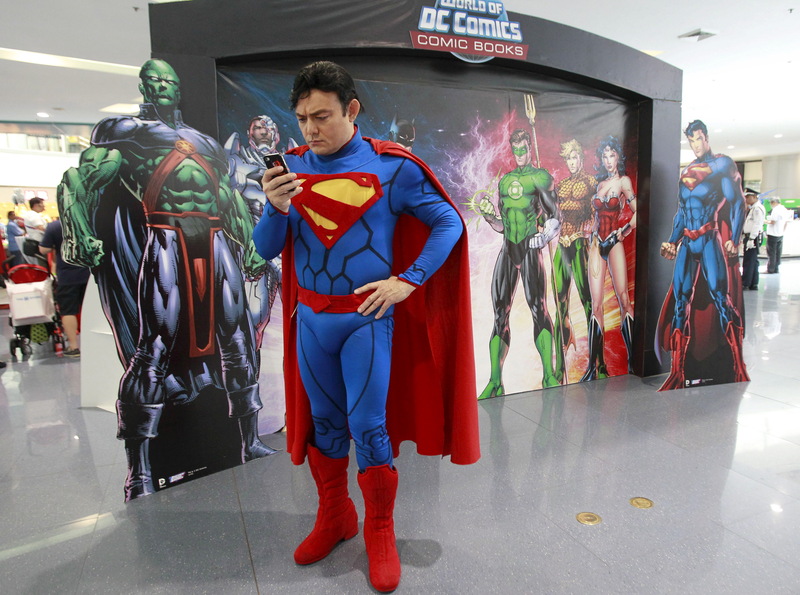 A participant wearing a Superman costume checks his mobile phone before joining the World DC Comics Super Heroes gathering in Manila April 18, 2015. VMware’s chief executive on July 16 identified what he referred to as “four superpowers” that would shape the world’s development: the cloud, artificial intelligence, the so-called internet of things, and mobile devices. Pat Gelsinger was speaking at the Fortune Brainstorm Tech conference in Aspen, Colorado. Delegates include entrepreneurs, venture capitalists and executives from companies including Uber, Facebook, Google, Twitter and Lyft. Jerry Yang, former chief executive of search engine Yahoo, told an audience at the conference that he believed “quantum supremacy” – the moment at which quantum computers are able to solve problems impossible today – could be five or 10 years away.